Even with an encouraging acceptance rate of 84 percent, Auburn University is still fairly selective. The majority of admitted students have a B average or higher and standardized test scores that are at least a little above average. Students must submit an application that includes high school transcripts and scores from either the SAT or ACT. Students are encouraged to visit and tour the campus as part of the application process. 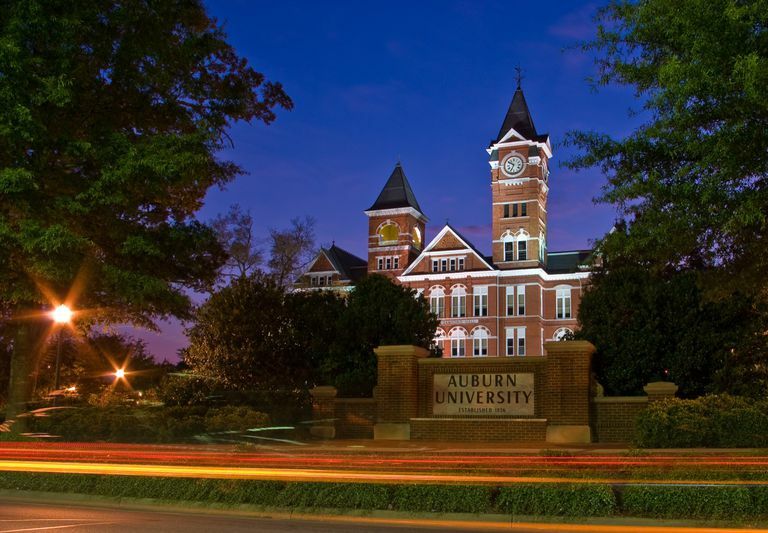 Despite its location in a small town in Alabama, Auburn University has grown into one of the largest universities in the South. Established in 1856, Auburn now offers a choice of 140 degrees through its thirteen colleges and schools. The university consistently ranks among the top 50 public universities in the country. For strengths in the liberal arts and sciences, Auburn was awarded a chapter of the prestigious Phi Beta Kappa Honor Society. Academics are supported by an 19 to 1 student/faculty ratio. Student life is also active with 300 clubs and organizations. On the athletic front, the Auburn Tigers compete in the NCAA Division I Southeastern Conference. The university fields eight men's and eleven women's Division I teams. In the scattergram above, the blue and green dots represent accepted students. You can see that the great majority of successful applicants had "B" or higher averages, SAT scores of about 1050 or higher (RW + M), and ACT composite scores of 22 or higher. Higher numbers clearly improve your chances of getting an acceptance letter. Note that there are some red dots (rejected students) hidden behind the green and blue. A few students with grades and test scores that were on target for Auburn did not get in. Note also that several students were accepted with test scores and grades below the norm. This is largely because Auburn takes into consideration the rigor of your high school courses, not just your grades. A student who takes challenging AP, IB and Honors courses can get accepted with somewhat lower grades than a student whose academic courses are remedial. The course requirements to get into Auburn include four years of English, three years of social studies and math (which must include Algebra I and II, and one year of geometry, trigonometry, calculus, or analysis), and two years of science, which must include one year of biology and one year of a physical science. 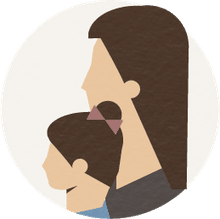 The Auburn admissions folks will use your weighted GPA when making an admissions decision..
School size, graduation rates, and costs are all important factors to consider as you work to come up with your college wish list. Applicants to Auburn University tend to apply to other large public universities in the southern United States. Popular options include Clemson University, University of Florida, University of North Carolina at Chapel Hill, and the University of Alabama. Keep in mind that Florida and North Carolina are both more selective than Auburn University. If you're also considering private universities, applicants to Auburn often look at Vanderbilt University and Duke University. Both universities are much more difficult to get into than Auburn. Do You Have the Scores and Grades to Get Into Clemson?